Welcome to Writing at the Table! 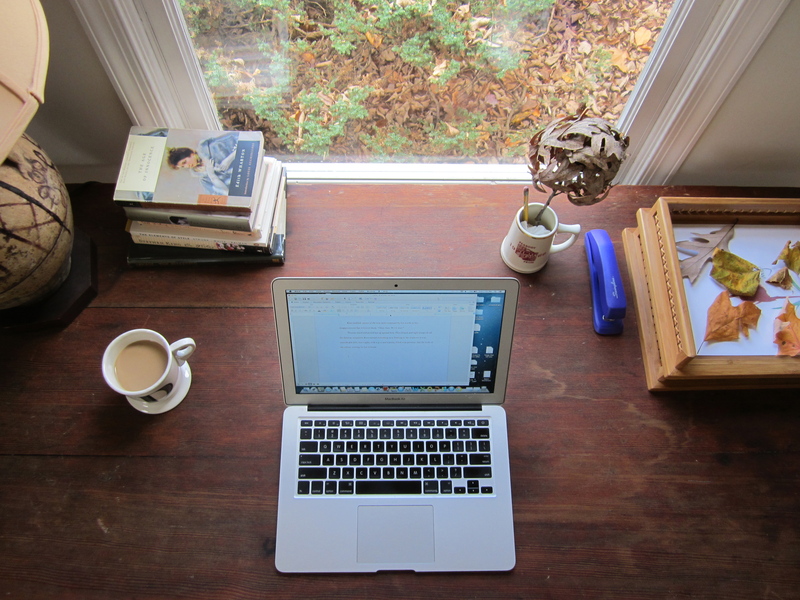 A blog about navigating the sticky (sometimes literally) terrain of mothering and writing. My name is Dana Schwartz and I’m a writer, reader, feminist, and mother. After graduating college with a BA in English Literature, I began my professional life working in book publishing, including St. Martin’s Press, Bookreporter.com, and HarperCollins Children’s Books. Briefly, I worked at MTV Networks, editing and managing their internal employee magazine, before leaving to freelance and pursue a Master’s in Fine Arts at Fairleigh Dickinson University. During this time I also became a certified self-defense instructor, teaching in many private schools and organizations in the tri-state area. I’ve wanted to be a writer for as long as I can remember, probably soon after I became a reader. My parents used to let me read at the dinner table, a gesture I used to take for granted, and now realize this was one of their many gifts. I’m so fortunate that they not only encouraged my love of reading, but also my desire to become a writer. My mom died years ago, but I know she was proud of my passion for storytelling, and wanted me to achieve my dream of publishing. Just weeks after her death, I received news about my first publication – a short story in a literary journal. Since then I’ve been published in other literary journals and anthologies, as well as online. I also performed an essay inspired by her at Listen to Your Mother in 2015, and another inspired by my daughter in 2017. These days I still read at the table whenever I can, and write at my desk – an old wooden table. Some habits you don’t break. I haven’t always been a writing mom. After I had my first child in 2008, I stopped. Not surprising since becoming a mother is all-consuming, but after a year went by I struggled to return to the page. I felt too tired, too overwhelmed. As time went by, I began to wonder something else, something terrible: maybe I wasn’t a writer after all. The longer I went without, the harder it was to return. I sat on the shore of my life and watched my boat drift away. I realize now I was scared of failing. So I quit, thinking it would hurt less. But I was wrong. It was worse. Not writing made me brittle, angry, and short-fused. I became a miserable person, partner, and mother. For a while I didn’t know how to fix myself, how to find happiness and peace amid the chaos and monotony of motherhood. I felt guilty for not enjoying the moment more. After my daughter was diagnosed with celiac disease at age three, I started a blog called celiac kiddo. It helped to write about our struggle and our gluten free journey – it helped to write. But I still hadn’t returned to my fiction roots. Then one day, soon after my second child turned one, I started a story that had long simmered inside me. And for the first time since becoming a mom, I didn’t stop. I set aside time, I hired a babysitter. I made writing a priority. Writing is a commitment, whether you have a family or not. There are days when I feel too tired, too brain drained to open my computer. Some days I let my boat drift away. But I try not to let it get too far. Nowadays I write whenever I can, as often as I can. Dana, I loved reading your journey here -thanks for letting us into your head and heart. You have such a graceful voice. 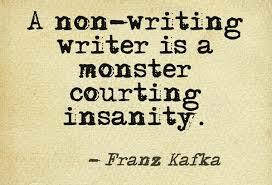 And what a perfect quote by Kafka! I’m so glad we’ve met in your re-location! “Pens up!” (or should I say “fingers poised!”). Here’s to getting the stories on paper that we need to pour out and share with the world! best of luck with your new blog! You will find as your children get older and more independent that you have more time to do the things you like to do. Thank you so much! I suspect as much and I bet when they’re older and too busy to hang out with me, I’ll look back at this hectic time with bittersweet nostalgia. You are the dearest Jen, thank you for believing in me from afar in a way that feels so close up 🙂 And thanks for letting me borrow your beautiful daughter’s name for my novel in progress… it’s really working out. Hilarious about biweekly!! Kind of a bummer that it means every other week for cleaning purposes, ha. I’m so happy to have found your blog too! Thank you so much Pam! I’m glad to have found your blog as well. Another writer/mother, who as a young girl dreamed of being a writer and recently decided to call myself one. I’m happy to find your blog. Justine, I’m so happy you found me and vice versa. This is exactly why I started this blog. I love finding kindred writing spirits! Looking forward to reading more of your words. Thank you so much Dina! That kind of thing makes my day. I’m happy to have found you as well! I saw your quote that Dina Relles used on her blog’s New Year post, and it so very much captured the way I feel, that I just had to go find you and your blog. : ) I’m so glad I did! I loved your post about the word Focus. That is a word I’ve been working on incorporating for some time now. Like you, I find myself up at all strange hours doing just what you described. I’m in the process of getting my own blog up and running. I’m very much looking forward to reading more of yours. : ) Thank you for your beautiful words and inspiration! Hi Mimi, thank you so much for the kind words! I’m glad that quote spoke to you, it’s something I have to repeat to myself when I get frustrated with my turtle pace. I am really liking “focus” so far, unlike some years when I’ve already forgotten the word by mid-month 🙂 It’s easy to remember and it applies to so much. I am looking forward to visiting your blog! Please ket me know when it’s up and running. Hi Dana – Count me in. I’m rooting for you. For all of us. I recall writing when my daughter was newborn–sleeping across my arms while I tapped on the keyboard. (She’s now 27.) I let go of writing for several years, then took it up again when she was about five (I was also a single parent by then.) I wrote Firebird, which became my first published novel, between 4 and 6 in the morning, before heading off to daycare and then to my teaching job. I look back now and wonder how I ever did it, but I did, and so will you. Janice, thank you so much for your comment! I can’t tell you how invaluable that article you wrote about the mid-novel slump was to me. Suddenly I didn’t feel hopeless anymore, or alone in my struggles. I love the story of your baby in your arms as you typed, and I’m always amazed by the willpower of writers to get up in the predawn hours. So far, I haven’t been able to make that happen, but once my toddler son sleeps more soundly, then perhaps I will give that a try. Thank you again. This comment made my day. Very glad to have found you too! Yes, the boat metaphor feels so accurate to me. Every time it drifts away I have to work twice as hard to swim to it, but I keep on because, like your therapist said, I can’t afford not to. Keep on writing and I’ll keep on reading. Looking forward to more of your words. Hi! Thanks for the follow. You’re lucky you got acquainted with your passion early on, I bet it makes a whole lot of difference to the quality of life. It’ll be interesting to read about how you manage so many things, and do justice to each. Its funny I read about biweekly on your page today, I JUST made an ambiguous deal with a friend using ‘biweekly’ :p hahaha… That table/desk looks amazing by the way, we don’t see such pieces here often. Good luck with your writing! Isn’t it bizarre about “biweekly” having two meanings? I feel like the dictionary should make up it’s mind! Glad to have found you and your blog. Thank you for visiting my blog – which in turn made me come and check out your blog, and I’m glad I did. I’ve always wondered about bi-weekly… especially with English being my second language. I love how the meaning really fits perfectly: sometime’s it’s twice a week and sometimes just every other week. i’m glad you found your way back to writing, and I am looking forward to reading some of your fiction! Thanks so much Kerstin! I was totally drawn in by your blog post title, “About Wanting it Bad Enough” from a comment of yours on another site. I love finding new blogs that way 🙂 Isn’t that so perfect about biweekly? I couldn’t have picked a more apt term for my rather sporadic blogging lifestyle. So glad I found your blog! I’m a fellow mother/writer/blogger who has been struggling to reclaim her writing and voice since tumbling down the well of motherhood last year. While the blog world is filled with moms who like to journal/blog, it’s refreshing to see the other side, which is writers who have now become mothers. Rachel, I’m glad we found each other! I love your blog, and would’ve gobbled it up when I was a new mom, and will still gobble it up now that I am an old mom (ha). Well, not old, but a bit more seasoned, since my kids are 7 and 3. I like how you describe this: “writers who have now become mothers” which is exactly what happened to us both. Happy to be on this crazy journey with you! For all your great work here, I nominated you for the Sisterhood of World Bloggers Award. Take a look here: https://becomingmotherblog.wordpress.com/2015/10/14/sisterhood-of-world-bloggers-award/. Great work! Hello Dana! I am looking forward to follow your blog. I would like to be one of those who back you up. I have four adult children. I had an untreated maternity depression after the first child. I have worked for many years as a health visitor a job where you advise parents with new born babies and follow them the first year or so. I am preparing a post that I will link up with your post on the subject. Thank you so much Maria, though I’m sorry to hear you had depression after your first child. But how wonderful that your job has been to help other women through the transition into motherhood. I am looking forward to reading your post. Thank you so much! Let me know what you think of the of book. I really enjoyed your post! I look forward to read it and I just realised that you have written your a book too Dana. I would love to read that also if I could get it. Glad to meet you, Dana! Can’t wait to get back here and read a little bit. Thank you for following me too! I’m very excited to see what you have here! The boat adrift metaphor is perfect! Some times I need to take another boat to go get mine! Which is kind of why I follow good writers. Like you. Thanks! Thank you so much for stopping by and for your lovely comment, Jim! The boat metaphor is one I return to again and again, in fact, right now, the boat of my novel is quite adrift 🙂 I am going to have to swim a while to get it back. But I know I can get there, because I’ve done it before. I wish you luck! I believe I shall invent a boat homing device that will automatically return my boat to me! Just follow your heart Dana, if it feels right, your on your path. If your in a job you don’t like it is a drag to just get up of a morning. If you can’t wait to get there, your following your heart. Unless of course you are doing it out of fear, the expectations of others or yourself. I hope you don’t mind, but I nominated you for the Liebster Award! You can read about it here: https://dawnclaflin.wordpress.com/2016/03/28/liebling-lobster-liebster-award/. Thank you so much Dawn! I love these awards, it’s such a kind and generous way to support fellow bloggers 🙂 I used to do them whenever I got nominated (I used to have a different blog, before this), but now I don’t always get to it, but please know the thought is greatly appreciated. I also loved reading your answers! Thanks Dana, and absolutely no worries if you don’t get to it. It’s a time commitment for sure! Great Kafka quote and so true! Hello! That is a fine offer for you.